How to Apply : Application in the prescribed format should be sent to the Registrar, Indira Gandhi Medical College & Research Institute, Vazhudavur Road, Kathirkamam, Puducherry - 9, India on or before 20/01/2012. Clerical Cadre : 2500 posts in various states in India in Special Drive for SC/ST/OBC (see detailed advt. for State-wise and Category-wise vacancies) , Pay Scale : Rs.7200-19300/-, Age : 18-28 years as 0n 01/12/2011. Age relaxation as per Govt. rules. 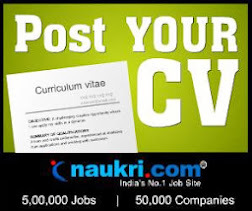 Clerical Cadre : 600 posts in various states in North-East of India (General candidates can apply here) (see detailed advt. for State-wise and Category-wise vacancies) , Pay Scale : Rs.7200-19300/-, Age : 18-28 years as 0n 01/12/2011. Age relaxation as per Govt. rules. Selection Procedure : Final selection will be made on the basis of performance in the written test on 18/03/2012 and interview taken together. Application Fee : Rs. 350/- (for SC/ST/PWD/XS Rs.50/- only) to be deposited in any branch of SBI by a prescribed deposit slip and get receipt. Details of the payment should be entered in online application form. How to Apply : Apply Online at SBI website from 28/12/2011 to 20/01/2012. Upper Division Clerk (UDC) : 77 posts, Pay Scale : Rs.5200-20200 grade pay Rs.2400, Age : 18-27 years. Multitasking Staff (MTS) : 12 posts, Pay Scale : Rs.5200-20200 grade pay Rs.1800, Age : 18-25 years. Application Fee : DD of 225/- for UDC and Rs. 125/- for MTS (no fee for SC/ ST/ PWD/ Female/ Ex-Serviceman ) in favour of ESIC, Indore and payable at Indore. Upper Division Clerk (UDC) : 43 posts, Pay Scale : Rs.5200-20200 grade pay Rs.2400, Age : 18-27 years. Multitasking Staff (MTS) : 78 posts, Pay Scale : Rs.5200-20200 grade pay Rs.1800, Age : 18-25 years. Application Fee : Rs. 225/- for UDC and Rs.125/- for MTS (no fee for SC/ ST/ PWD/ Female/ Ex-Serviceman ) through Demand Draft in favour of ESI Corporation and payable at TRICHUR. Candidates must write his name, address and computer generated Application Number on reverse of DD. Post name:Research Professor :03 posts. Post name:Associate Professor : 04 posts. Qualification: 55% of the marks, or equivalent grade wherever grading system is followed in the LL.M. equivalent grade where grading system is practiced at the Master’s degree level LL.M. Documentation Science or an equivalent professional degree with at least 55% marks or its equivalent grade where grading system is practiced and a consistently good academic record with knowledge on computerization of library. Pay Scale : Rs.15600-39100 GP Rs.6000. Post name:Assistant Controller of Examination : 01.
from recognized university. ii) 5 years Administration/ Academic experience relating to conduct and evaluation of university examination or institution of higher education etc..
Pay Scale:Rs.15600-39100 GP Rs.5400 . No.of Post : 137 posts (UR-69, SC-28, ST-03, OBC-37) in Irrigation Deptt. No.of Post : 53 posts (UR-27, SC-11, ST-1, OBC-14) in Irrigation Deptt. No.of Post : 16 posts (UR-1, SC-5, ST-04, OBC-6) in Irrigation Deptt. No.of Post :26 posts (UR-11, SC-8, OBC-7) in Labour Deptt. No.of Post: 04 posts (UR-3, OBC-1) in Labour Deptt. Age : 21-35 years as on 01/07/2011. How to Apply : Application in the prescribed OMR application forms format should be submitted upto 06/01/2012 only.